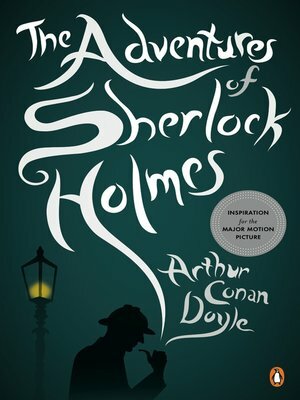 This gripping collection includes many of the famous cases-and great strokes of brilliance-that made the leg­endary Sherlock Holmes one of fiction's most popular creations. With his devoted secretary, Dr. Watson, Holmes emerges from his smoke-filled rooms on Baker Street to grapple with the forces of treachery, intrigue, and evil in such cases as "The Speckled Band," in which a terrified woman begs Holmes and Watson's help in solv­ing the mystery surrounding her sister's death, and "A Scandal in Bohemia," which portrays a European king blackmailed by his mis­tress. A spine-tingling treat for anyone who loves a classic whodunit, The Adventures of Sherlock Holmes shows the inimitable detective at his best. @KeepDiggingWatson Why are the lights at 221 Baker Street so damn bright in the morning? Why does Watson talk so loud? Elementary, my dear STFU!